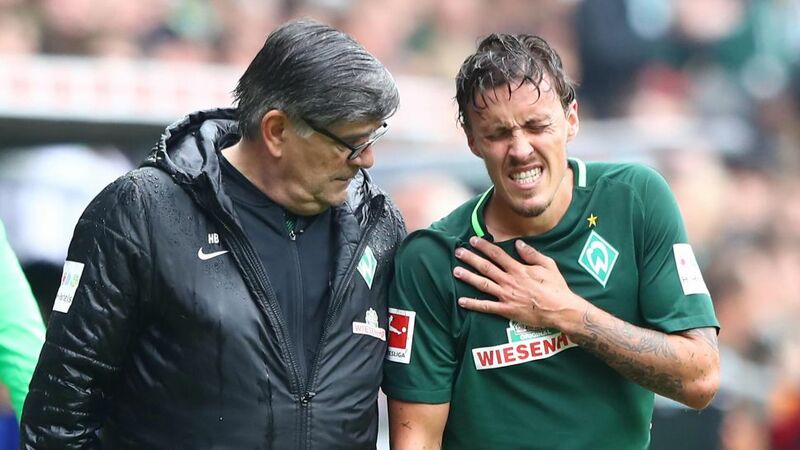 Werder Bremen striker Max Kruse will be out of action for up to eight weeks after breaking his collarbone in his side's Matchday 4 clash at home to Schalke on Saturday. The 29-year-old was replaced by Ishak Belfodil in the 19th minute after landing awkwardly following a challenge with Schalke defender Thilo Kehrer. He was subsequently taken to hospital, where the diagnosis was confirmed. He will undergo surgery in Bremen later on Saturday before beginning a two-month recovery process. "His injury is a big loss," said Head coach Alexander Nouri after the game. "Everyone knows his value to the side. We hope that he'll be fit again soon." Despite going 1-0 up shortly after Kruse's substitution, Bremen slipped to a 2-1 defeat and are now second bottom of the Bundesliga table with just one point from four games.